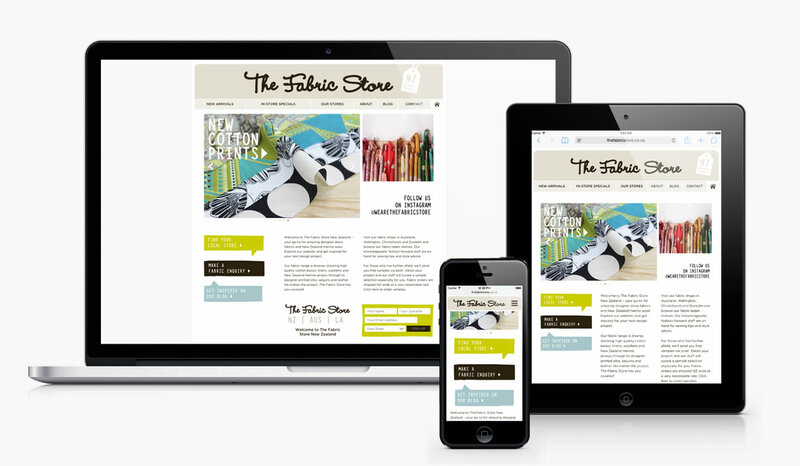 Website Projects • Our Work • Client : The Fabric Store. E-commerce + Retail, Catalogue, Distributor, Responsive, Company + Profile website developed by TANK Web Supply, Auckland, New Zealand. Our friends at The Fabric Store asked for help designing a new website interface. We contributed screen-ready design mockups and then built the device-friendly interface. The result is an engaging responsive site, optimised across all viewports; Desktop, Tablet, and Mobile. Visit The Fabric Store – you'll be inspired by fabric!